The Federal Government on Thursday reassured Nigerians that it was doing its best to ensure safe release of Leah Sharibu, the only one of the kidnapped Dapchi school girls who remained in captivity. The Minister of Information and Culture, Lai Mohammed, gave the reassurance at the 100 years celebration of St. Andrews Catholic Church, Oro, his home town near Ilorin in Kwara state. Speaking to journalists after the Centenary anniversary thanksgiving Mass, the minister said Leah, abducted by Boko Haram, is dear to the government. "Nigerians should appreciate that any of our citizens, either boy or girl, Moslem or Christian is dear to us. 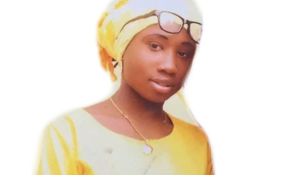 "We do not look at Leah Sharibu either as Christian or Moslem, but as a precious daughter of the country. "We are doing our best to ensure her safe release and be reunited with her family members," he said. While most of the girls have been released, Leah has remained in captivity, and her abductors had threatened to kill her. The minister also reiterated that government efforts at containing the Boko Haram insurgency were working and they are winning the war against the group. He said what was being witnessed were cowardly attacks on soft targets by the insurgents which were also being tackled. On the centenary celebration, the minister said that 100 years in the life of a Church is historic and significant. Mr Mohammed, a Muslim from Oro, said the anniversary was beyond the centenary, but a celebration of peaceful coexistence of Christianity and Islam in the town. "If you are looking for a community where there is absolute religion tolerance and peaceful coexistence, Oro is a good example. "As you can see, there are many Muslim faithful, like me, at this ceremony and that is how it has been from time immemorial. "I recalled a time when I was organising Ramadan prayers, I used the premises of this Church as my venue," he said. The minister noted that no religion preaches violence and hatred but every religion embraces peace. He appealed to Christians and Muslims where ever they may be in the country to emulate the Oro community in embracing peaceful coexistence. The Catholic Bishop of Ilorin Diocese, Ayo-Maria Atoyebi, gave gratitude to God for the celebration and described the centenary anniversary as the fruits of the Oro community's fore fathers who accepted Christ early. The clergy thanked God for the light of the Gospel, which he said had dispelled all darkness from the town. Chairman of the Centenary Anniversary Planning Committee, John Aransiola, said it was a special day in the history of Oro community. In a brief history of the Church, Mr Aransiola said the late Mathew Wouter, SMA, a reverend father, came to Oro from Osogbo through Offa to celebrate the first Mass in 1918. He paid tribute to a particular parishioner, late Johnson Aina, whom he said, at that time, encouraged the people of Oro to embrace Catholicism. Mr Aransiola said Mr Aina had spent his youth in Topo, Lagos state, where he learnt about Catholic faith, before coming to Oro. "In 1925, Late Jerome Obada was transferred to Oro and became the first Catechist in the Church, when the first straw roofed church was built. "Obada, was a young boy from the royal family of Kabba in Kogi state, who ran away from home against the wish of his father to become a mission boy to Rev. Wouter in Osogbo where he was baptised. "In 1926, a mission house was built to house the late Chief Obada, the first Catechist," he said. Mr Aransiola said reverend fathers were coming from Osogbo for Mass until 1931 when Aime Simon SMA became the first resident Parish Priest of the Oro Church. He said the priest spearheaded the building of a well completed St Andrews Church from 1933 to 1935. Mr Aransiola said the Church was replaced by an architecturally well designed modern church dedicated in 2014 by the incumbent Bishop of Ilorin Diocese, Atoyebi, who is also from Oro. He said the establishment of the Church had brought spiritual awakening and educational and social development to the town.